Three Terriers, co-captain Dante Fabbro, Shane Bowers and Joel Farabee were named to Hockey East’s weekly list of top performers. Fabbro assisted on a pair of goals in BU’s 3-2 win at New Hampshire and is tied for eighth in conference scoring with six points in five games. Bowers’ shorthanded goal in overtime was the game-winner and his second score of the contest. Farabee set up both of BU’s power play goals. 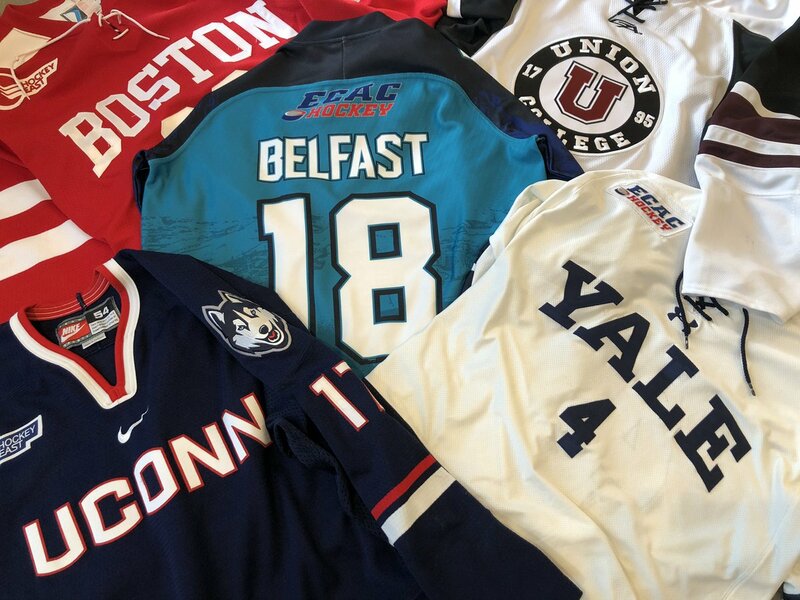 ►A trio of Daily Free Press hockey reporters have introduced a podcast—Lighting the Lamp— discuss what’s trending in BU Hockey. Following this weekend’s pair of home games against Hockey East rival Maine, the Terriers head to Belfast for their first appearance in the Friendship Four Tournament. The event Web site is profiling each of the participating teams: BU, UConn, Union, Yale. Terriers will face Connecticut in the opening round game on Friday, Nov. 23. The tournament, begun in 2015, was created through the Boston/Belfast sister cities agreement. The driving forces of the event are Steve Thornton, head of hockey operations for the Belfast Giants, and Shane Johnson, tournament project manager. Thornton and Johnson were teammates on BU’s 1995 national champions and later on the Giants. #U18: LHD Domenick Fensore (Ranked No. 113) with a big-league fake & dish to the slot to C/WTrevor Zegras (Ranked No. 5), who gives Team USA a 3-2 win over Finland and take the 5 Nations. 2019 recruit Trevor Zegras’ one-timer with three minutes left in regulation was the game-winner in Team USA’s 3-2 win against Finland in the Five Nation’s Cup in Kravare, Czech Republic. The win gave the U.S. a perfect 4-0 record and the tournament title. Zegras, who scored nine points (4G,5A) during the four games, was set up by a fellow 2019 recruit, defenseman Dom Fensore who drove to the left circle then fired a pass to Zegras between the hashmarks. Zegras, who also assisted on Team USA’s second goal, has nine goals and 17 assists in his last 12 games. Four other future Terriers skated for Team USA in the Five Nations Cup: Alex Vlasic, Case McCarthy, Cade Webber and Robert Mastrosimone. NHL Central Scouting's Players to Watch list, issue this past Monday, includes nine future Terriers: A ranked—Zegras, Vlasic; B—Mastrosimone; C—Liam Connors, Braden Doyle, Fensore, McCarthy, Ethan Phillips, Webber. 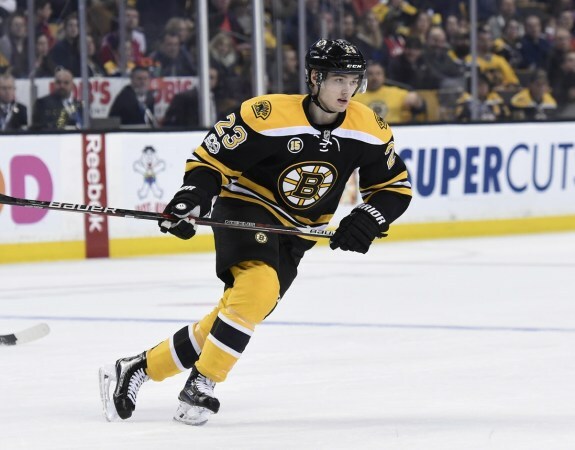 Jakob Forsbacka Karlsson made his second NHL start Monday in Boston’s 4-1 win against Las Vegas. He logged 11:10 of ice time as the Bs third line center, earning generally positive reviews of his performance. Kieffer Bellows scored his sixth goal of the season as AHL Bridgeport doubled up Charlotte, 4-2.